At Island View Cottages, it’s what you see, and don’t see, that makes it so appealing as an up north getaway. 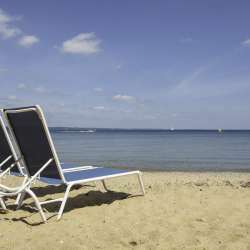 For starters, the cottages are literally within walking distance to downtown Traverse City. You’d never know it looking out your cottage window. 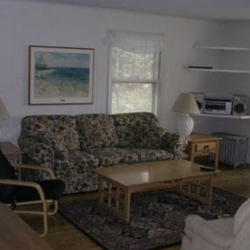 There’s definitely a lot to love about Island View Cottages. 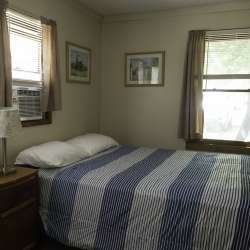 The property is comprised of nine knotty pine cottages, built around the 1930s, and three larger structures, the Colonial House and Carriage House, both built in 1890, and the Beach House. All nine cottages and three houses have been fully renovated, with remodeled bathrooms, new flooring, furniture, etc....all completed without altering their familiar, Northern Michigan appeal. Each cottage sleeps from two to five people, while the Beach House sleeps eight and the Colonial and Carriage houses each sleep 10. Tucked away like it is, Island View Cottages offers guests the feel and freedom of a private resort, with 132’ of beachfront to play on. Guests will enjoy the new beach furniture, picnic tables, and the all-too-rare shuffleboard court. Kayaks and paddleboards are available on premise for rent too.